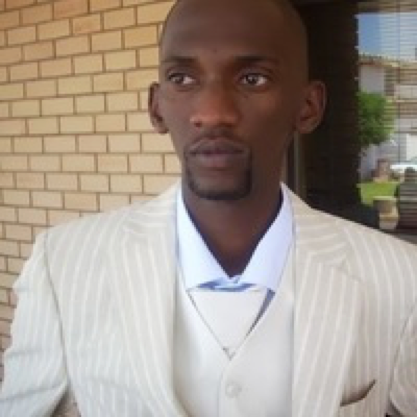 Agang holds a Bachelor of Science in Computer Information Systems from The University of Botswana and currently in final year for Masters in Science in the same field. In her early career Agang worked as a Research Assistant in Universitat de Bundeswehr; Munich, Germany. Currently her work experience includes technical duties with the Department of Information Technology at the University of Botswana. Agang is passionate about education and is co-founder of The Clicking Generation-ICT Academy for Kids and Teens; a program that offers computing and technology curriculum to kids and teens. She is currently National Expert for UN-World Summit Award Organization, Ambassador-ITU Young Innovator Competition and Ambassador-Africa Code Week. In these roles she partakes in encouraging Botswana youngsters in the Information Technology field on issues of innovation and e-content creation. A previous Champion for the local Google Developer Group she is now an Advisor to the same. Agang was recently elected as Board Member of Botswana Academy of Sciences. As an ICT Youth Advocate she has worked with UN Agencies to disseminate information on the Post 2015 Development Agenda especially to the youth population. She works closely with relevant stakeholders to implement Girls in ICT programs throughout Botswana. Agang is a Brightest Young Minds Alumni 2015, a selection of top 100 young Africans contributing to their communities, sponsored by Barclays Africa. Recently in 2016, Agang forms part of the prestigious Tony Elumelu Foundation Mentorship program, being mentored by a successful and seasoned thought leader, Tony Elumelu. She has also been selected as a Mandela Washington Fellow 2016, an initiative by U.S. State Department. Founder & CEO of Ngwana Entreprises Ltd.
A Botswana born-entrepreneur, Mooketsi believes in the high potential of the African continent and invests in Education, FinTech and Healthcare. In addition to publishing academic books with Cambridge University, he has authored several publications spanning academia, entrepreneurship, unemployment, medical travel and wellness related topics in Africa. Mooketsi runs businesses in EdTech (Ngwana Enterprises) with establishments in Botswana and South Africa. He also invested in a healthcare startup and he is a founding investor in the Medical Tourism Sector in Botswana and South Africa. His engagement earned him several awards and recognition as a world-class entrepreneur, entrepreneur ecosystem enabler, innovator and disruptor. Mooketsi believes in the power of entrepreneurial talent and startup acceleration to solve problems for governments, and in the need to support wealth creation initiatives through angel investments. A board member of several local, regional and global organizations, he also partners with multinationals in Southern Africa, Europe, the Middle East and the USA. His portfolio of clients include the World Bank, SAP Africa, Informa Life Sciences and Global Healthcare Resources. Mooketsi holds a Master’s Degree from the University of Stellenbosch Business School, Cape Town, South Africa. My name is Jonathan Okorie and I love to code! 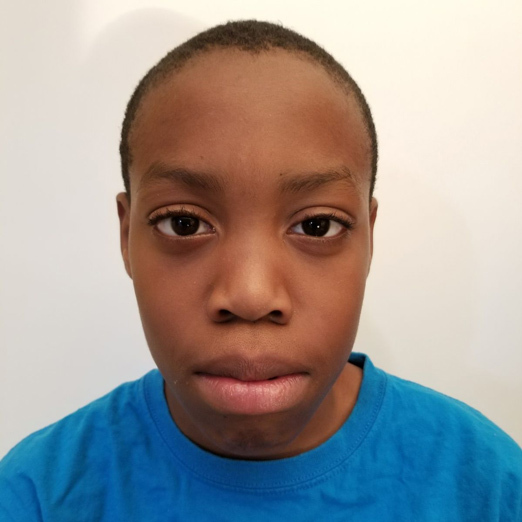 I am a 12 year old in 6th grade at Glenwood Middle School, Maryland. I like to partake in hobbies such as researching in technology, playing basketball, drawing and animating. I have recently made a YouTube channel where I post my animations and drawings. Two years ago, in fourth grade, my journey to coding began. My fascination in technology was the driving passion for this interest. Ever since I was very young, I had always played around and studied broken pieces of technology. Soon enough, I got to learn more about modern technology and how they worked. I then realized that to make them work required computer programming skills. What is coding? Put simply, coding in a programming language of your choice such as SCRATCH is teaching the computer logical instructions and commands to execute tasks. I began with writing my first game using SCRATCH and I finished the game. Although it wasn’t a masterpiece, I was glad with the end product and made a better game. I also noticed how math and science was easier to understand. I actually did not start coding for an educational purpose, but I did it because I thought it was fun.I am now learning other advanced coding languages such as C sharp and JAVA for the purpose of making video games, solving problems, and making software. What are my goals? I really want to get an education in computer engineering and science. Although it will take me time and effort to be successful, but I am willing to put in the work for my future. In conclusion, we are the future, coding is the future. #stayNEON! 26-year-old Atlarelang Mosime is the Founder and Director of Techno Kids Center, an ICT Academy for children age 2 ½ to 15. She has volunteered for several organisations, such as the Ministry of Education Skills & Development , where she served as IT Officer for the Education Center in Molepolole. She then joined the University of Botswana as an Intern Trainer for the Department of Information Technology. Atlarelang also volunteers with the Financial Literacy Trust of Botswana. This dedicated IT expert has a passion for working with children and young teenagers, making sure they are given the full attention required for growth and success in all aspects of their lives. She belives that holistic child development leads to a brighter future. On a mission to fight computer illiteracy in her country, Atlarelang started introducing young children to computer science from a very young age: the earlier, the more chance to power-charge their future development, but also to improve the country’s economy in the long run. Atlarelang completed her Hons Degree in Computer Systems Engineering at the Botswana Accountancy College in 2013. Kesego is an aspiring techpreneur currently pursuing his Bachelor's Degree in Computer Science at the University of Botswana. Kesego has been quite active in the tech space, having been selected to represent Botswana in China for a Technology Exchange hosted by Huawei Technologies. He also has been part of the Ampion Venture Bus and he was part of the delegates from Botswana who attended the Global Entrepreneurship Summit 2015 held in Nairobi, Kenya. Kesego founded People Powered Network, a system that provides people with access to educational content without using the Internet - this project is endorsed by the US Embassy and YALI Techcamp. Kesego is also into community development and grassroots innovation, which got him to lead for Google Developer Group Gaborone (GDG Gaborone), a community of developers interested and enthusiastic about Google Developer Technologies. This came about because of the realization that developers are not aware of cutting-edge technologies developed by Google, which they could leverage to make their jobs easier. Tebogo currently teaches Computer Awareness at Kgale Hill Junior Secondary School with 16 years’ experience in the teaching profession. 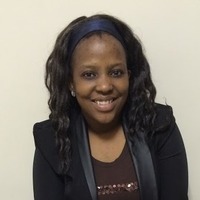 After obtaining her Diploma in Secondary Education from the Tonota College of Education in 2001 and ICDL at University of Botswana in 2007, she graduated from Botho University in 2016 with a BSC (hons) in Computing, specializing in Software Engineering and Network Engineering. Managing to consecutively scoop the Dean’s award from 2012 all the way to 2016, Tebogo ended up entering the school's Top 5 Best Performers. As a Senior Teacher 1 Computer Awareness, her roles include overseeing all computer awareness activities and ensuring that both the students and staff are equipped with relevant ICT skills - in close liaison with the Ministry of Basic Education and the Department of Information Technology. Initiator of several partnerships with the private sector, she has spearheaded and facilitated several ICT workshops in and outside her school. She is currently part of the training team in ICT Integration on Teaching and Learning for the South East Region. Firmly dedicated to empower 21st century learners, her school saw in Scratch a unique opportunity to instill digital skills in pupils from a very young age. She has trained a group of 15 students into Scratch trainers, some of whom are learners with special educational needs. The young team managed to get the entire 700 student community on board with Scratch as part of Africa Code Week - resulting in the school being featured among Botswana's best performers in 2017. Tebogo is also a member of the Microsoft Educator Community and will be pioneering the First Lego League in Botswana.